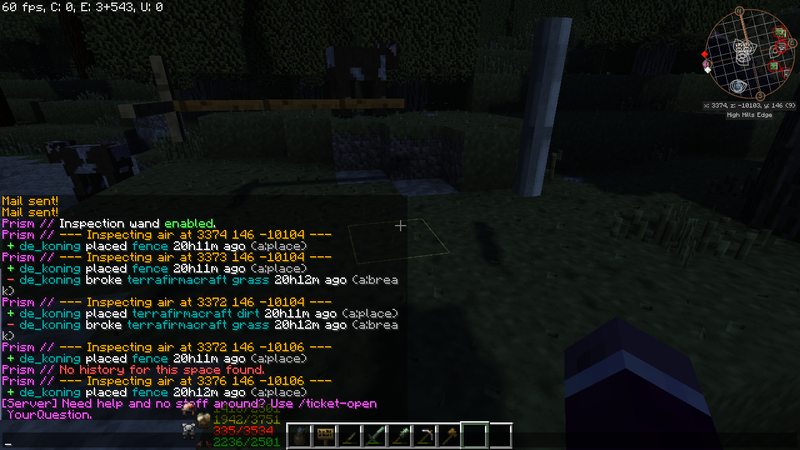 Additional Info Player used and modified a settlement near spawn. Took some lumber, planks, bricks, and a barrel. When confronted they offered returning the items claiming the owner is inactive. Triple also left some food at the place and according to their words they improved the place by patching up the shack. Also interfered with other shack that did not belong to them. Warned the player after found out about the first. Player jailed after finding out about more instances of this behaviour. Last edited by Elbe97; 26th January 2019 at 18:33. JimBouki & varelucky on report. Additional Info Town had many cows in a pen of insufficient size. Also had 10 fruit trees, two of those removed. Given both the mayor and his partner were inactive for some time, warning was sent by mail. Will check next after one of them is online. Last edited by Elbe97; 1st February 2019 at 20:30. 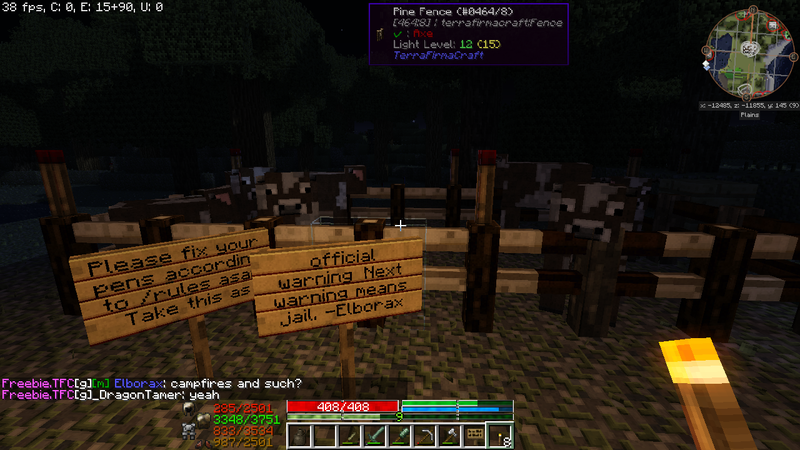 Additional Info Both players warned by mail for having 20+ fruit trees planted and possesion of a cow pen too small. Cow pen removed (animals were not familiarized) and fruit trees reduced to manageable amount. 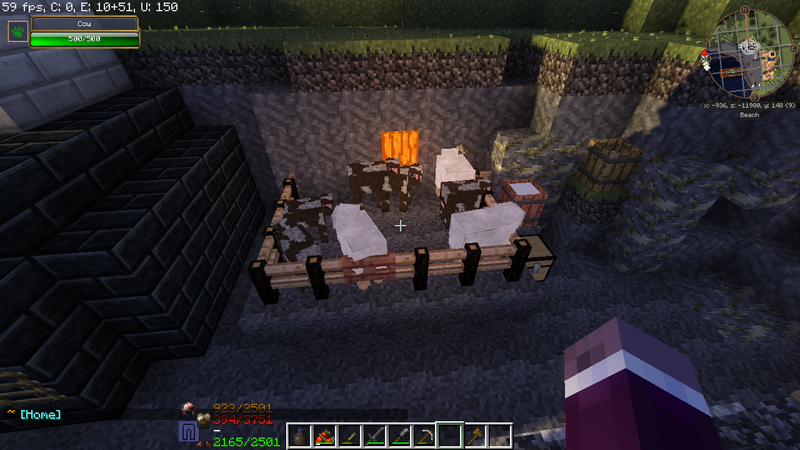 According to block placement, de_koning created the cow pen, origin of fruit trees (still in early stage of growth) unknown, however both players were involved in actions around the trees. Last edited by Elbe97; 27th February 2019 at 20:45. 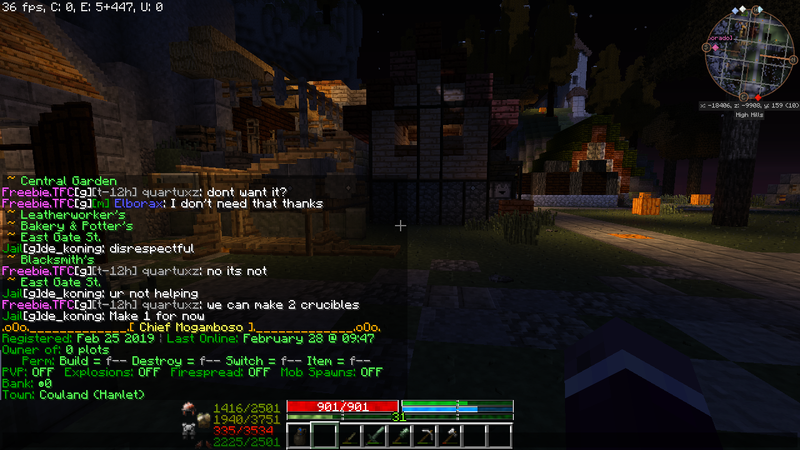 Additional Info Chat needed to be edited for this guy for a few times and their town had just once again a fruit tree over the server limit, the next day after they were reminded. They were online after the first infraction so they had time to check /rules. Fruit tree removed by another town member. Additional Info Repeated implied swearing. Additional Info Shortly after getting jailed for one hour the player came online and started a discussion about rules. 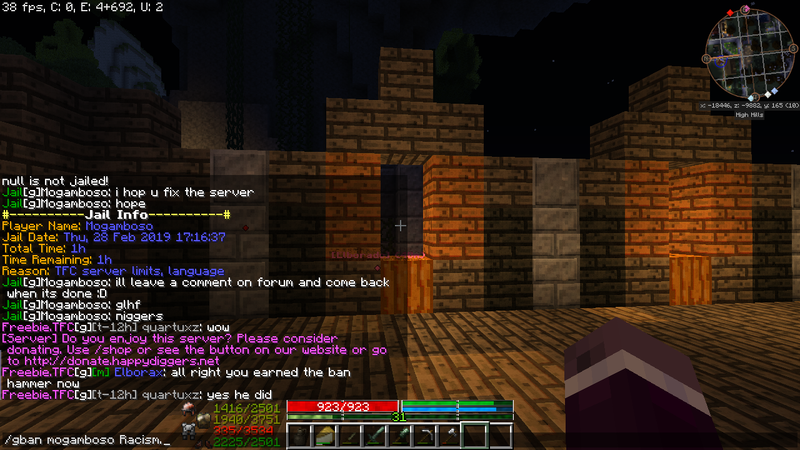 The number of complaints about server management and insults (more can be found in the chat logs)and the finale decided the player's fate, the player is unable and unwilling to respect our simple rules and make a change to their behavior. 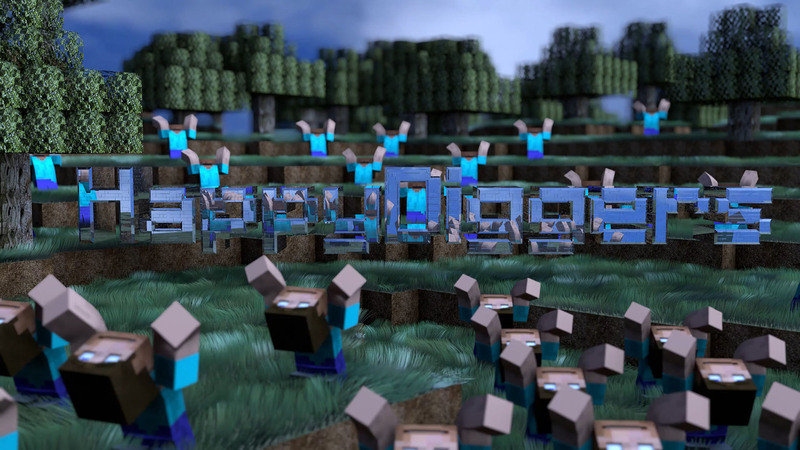 Last edited by Elbe97; 28th February 2019 at 21:37. Additional Info Warned by mail. Additional Info Reduced to 30 min cool-off as the player was under direct affect of losing things and made an apology right away.